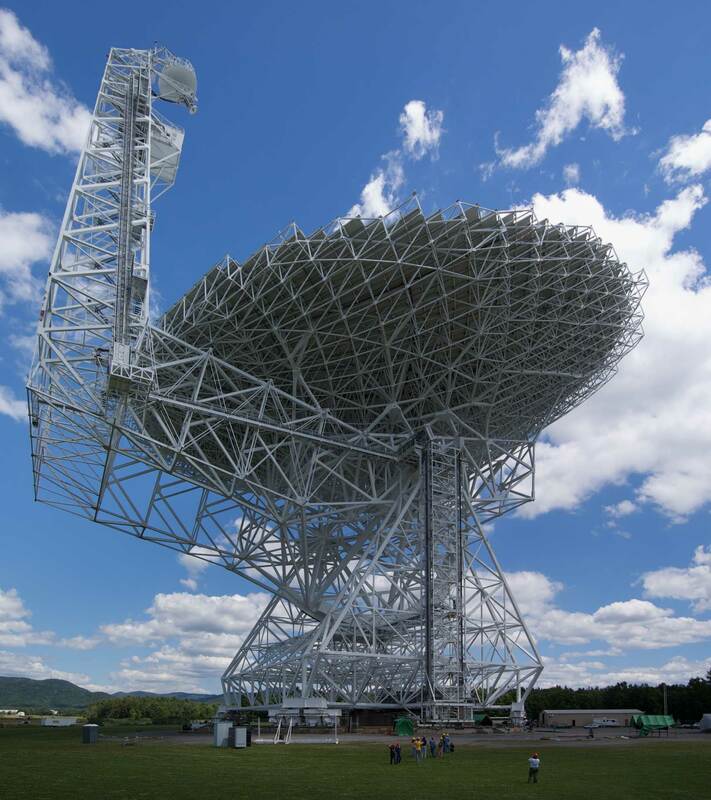 A massive radio telescope, the powerful Green Bank Telescope at the very cutting edge of radio astronomy technology in rural West Virginia has begun listening for signs of alien life on 86 possible Earth-like planets, US astronomers said Friday. 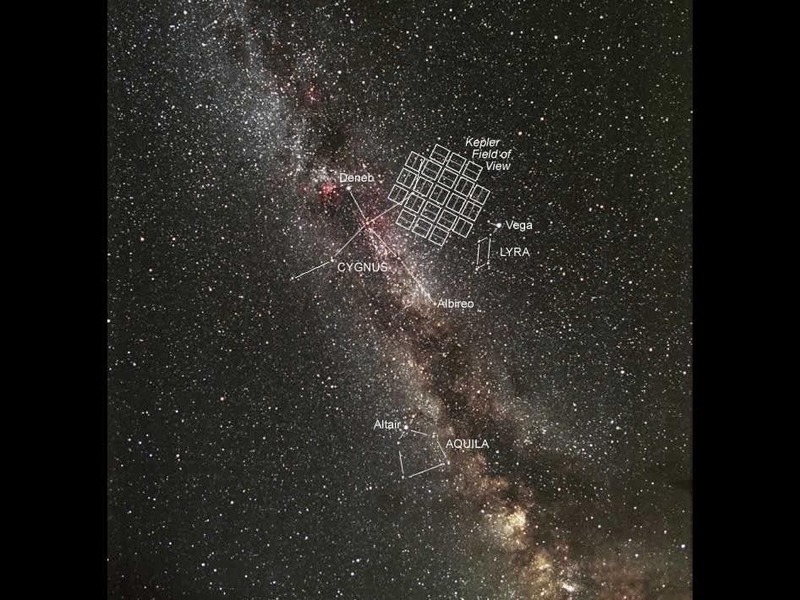 Selected from a list of 1,235 possible planets in the Kepler mission star field shown above — the effort will gather 24 hours of data on each one. The mission is part of the SETI project, which stands for Search for Extra Terrestrial Intelligence, launched in the mid 1980s. The 17 million pound (7.7 million kilogram) telescope became operational in 2000 and is a project of the NSF's National Radio Astronomy Observatory. "It's not absolutely certain that all of these stars have habitable planetary systems, but they're very good places to look for ET," said University of California at Berkeley graduate student Andrew Siemion. Last month the SETI Institute announced it was shuttering a major part of its efforts — a 50 million dollar project with 42 telescope dishes known as the Allen Telescope Array (ATA) — due to a five million dollar budget shortfall. ATA began in 2007 and was operated in partnership by the UC Berkeley Radio Astronomy Lab, which has hosted several generations of such experiments. It was funded by the SETI Institute and the National Science Foundation (NSF). With ATA's dishes on hold, astronomers hope a previous incarnation of which was felled in a windstorm in 1988, will provide targeted information about potential life-supporting planets. "We've picked out the planets with nice temperatures — between zero and 100 degrees Celsius — because they are a lot more likely to harbor life," said physicist Dan Werthimer, who heads a three-decade long SETI project in Puerto Rico, home of the world's largest radio telescope, Arecibo. However that project could not observe the same area of the northern sky as the Green Bank telescope, he said. "With Arecibo, we focus on stars like our Sun, hoping that they have planets around them that emit intelligent signals," Werthimer said in a statement. "But we've never had a list of planets like this before." The Green Bank Telescope can scan 300 times the range of frequencies that Arecibo could, meaning that it can collect the same amount of data in one day that Arecibo could in one year. The project will likely take about a year to complete, and will be helped by a team of one million at-home astronomers, known as SETI@home users, who will help process the data on personal computers.